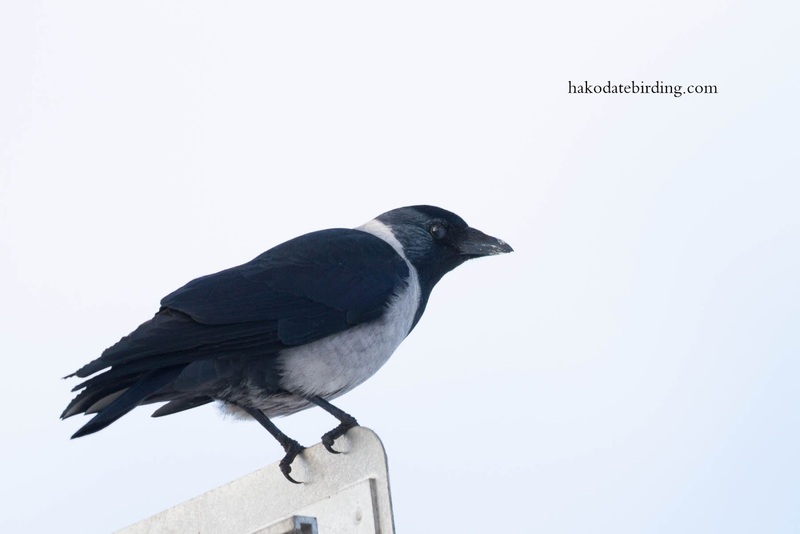 Hakodate Birding: More of the same. The usual early 2014 suspects. 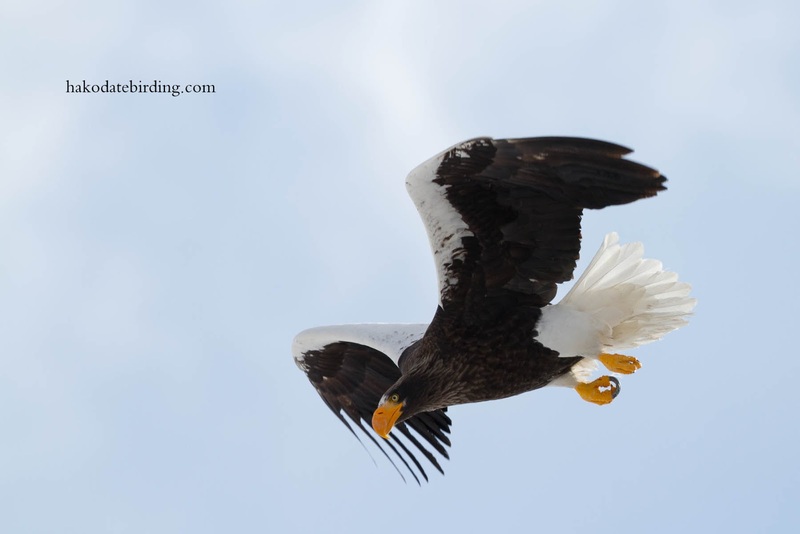 Stellers Sea Eagle, Ural Owl and Gyrfalcon. Not a vintage day for photos. It was cold but not really cold........we visited Onuma, Sawara, Yakumo and Oshamanbe. A bit of a quiet day.................both Onuma and the port at Oshamanbe were pretty light on birds except for the owl at the former and a few common ducks and 1(!) Dunlin at the latter. 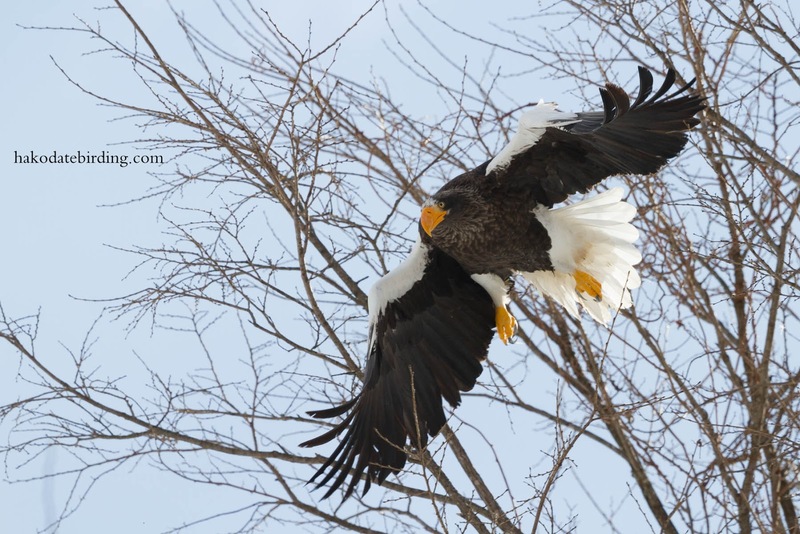 There were quite a few eagles at Yakumo but they weren't doing much. Just sitting around in trees, this startled one being the closest. At Sawara the Gyrfalcon was still around but it was nearly dark when we got there. Just as it was getting too dark for photos I noticed a small bird in the sand dunes. Was it a Snow Bunting? Maybe, maybe not. Other birds around included White Tailed Eagle at various sites, Great Crested Grebe, Black Scoter, Whooper Swan, Goldeneye, Scaup, Goosander, Teal, Brown Dipper, Sparrowhawk, Common Buzzard, Japanese Wagtail, Glaucous Gull and this Daurian Jackdaw, hastily snapped out of the car window. The heavy 500 f4 is not really a lens to hastily snap anything with, this pic is not a sharp one I'm afraid. Hakodate is very quiet at the moment. A Great Egret and a flock of Dusky Thrush being the only noteworthy birds the past week. Nice usual suspects to have around. The presence of owashi here is a big deal. I don't think Gyrfalcons are about in Honshu. 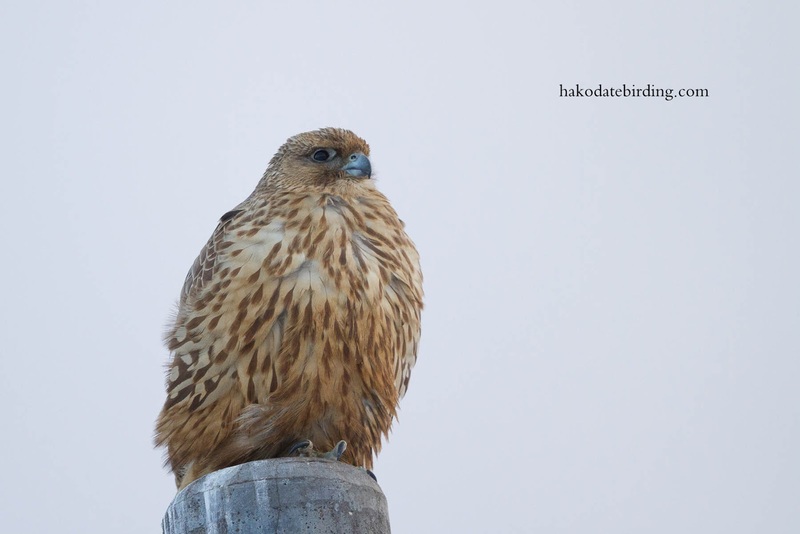 Hi Russell, I guess it might be the only Gyrfalcon in Japan at the moment. I can understand the Stellers excitement in Nigata especially as its an adult and is relatively far south..........if it was in the UK or another European country the birding community would be literally going insane with excitement. Been admiring the Gyr and Peregrine shots. I think these are my favourite Gyr ones so far - the afternoon light is nice. 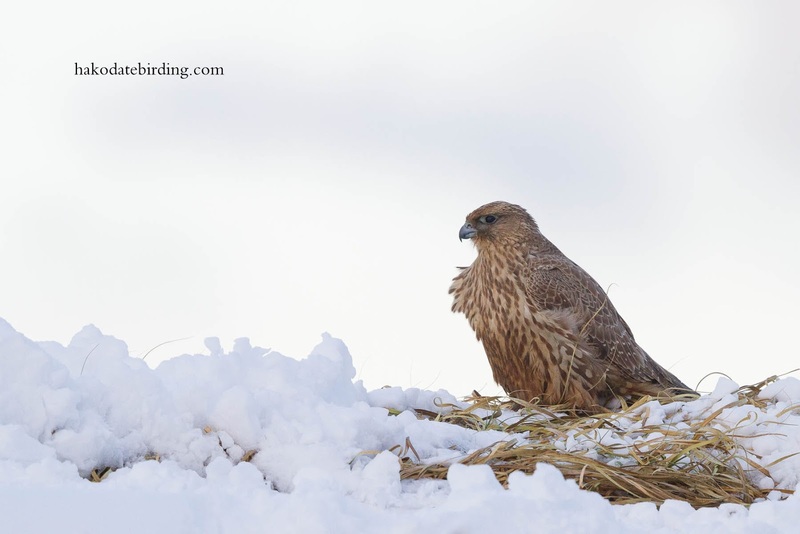 Hi Stuart, have you ever seen a Gyr up in Scotland? No - mega rarity as you can imagine and usually somewhere in the isles. Had a really lean time lately - will have to start going to the coast again. Well you have that spanking great big lens now, hope something turns up soon. 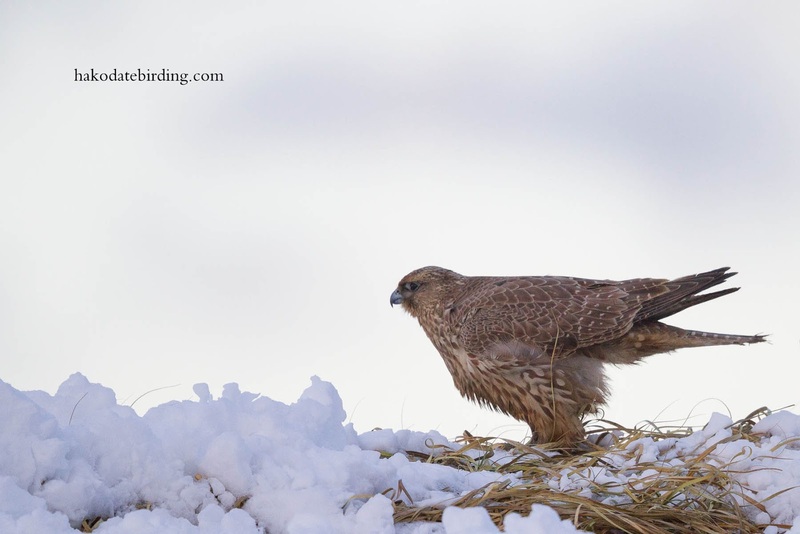 Maybe you'll find a Snowy Owl which would be even more exciting than this Gyr. 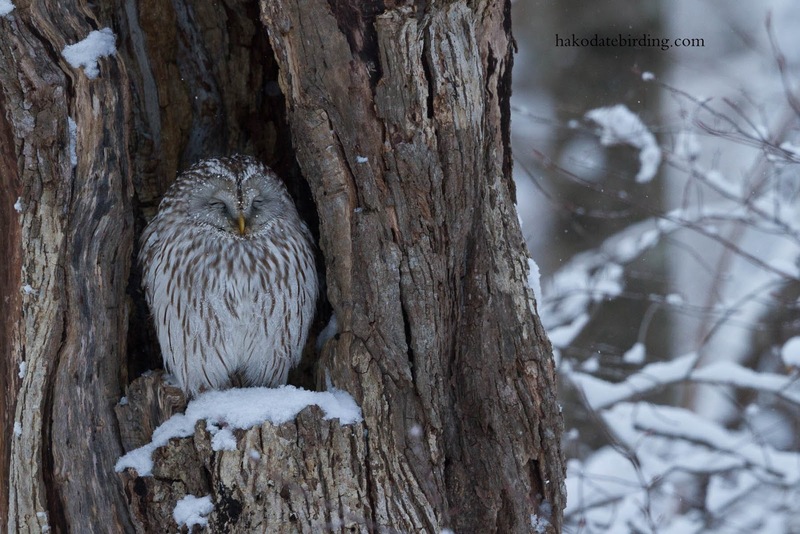 Great shots of the Gyrfalcon, and that sweet little owl.